The Almighty God (Devum, Yahweh, Jehovah) has always professed about doing what is in accordance to His Divine Laws of Love (ways of Nonviolence, Mercy, and Unconditional Love)…which are the ways to His Eternal Kingdom. He has always said that the ways of Divinity do not conform to the ways of this world, but are beyond them, and that those who have become convicted to follow such ways will be going against the grain of the ways of this world. As a result, those who chose to follow the ways of the Eternal Kingdom will only now a way of life that will conform to the Divine Laws of Love, will endure an earthly life filled with trials and tribulations. WHY? For the first sin committed by Mankind, in the Garden of Eden, through which Satan introduced, every member of Mankind was born as sinners. To rid humanity of sin…to purify it of sin and evil’s ways, each person that makes the choice of seeking the ways of the Eternal Kingdom will have to go through the Refiner’s Fire. Just as a diamond has to go through the extreme heat to become the beautiful, flawless gem that we know it as…God (Devum, Yahweh, Jehovah) says that His Children should also. But God does not force this upon us. With the gift of freewill given to us, He states that we, as Mankind, have to make the CHOICE, everyday. It does not end with a baptism…or being a Christian…or going to church or Bible Study on a regular basis. It is a daily choice that we make, to become a way of life that we show as a testimony to others of God’s Unconditional Love for Humanity. Now what is the difference between God’s Punishment and Karma….. It is the motivation behind each. Let’s take a further look into this. Karma is when people fear something is going to happen to themselves, when a wrong was done towards another. This force driving this is a SELF Love, to which is a conditional love. When you live a life in fear of things happening to you, is that really following the ways of the Eternal Kingdom, which are ways that follow the Divine Laws of Love? Sure, it can reflect a life of Nonviolence because someone will be afraid of something bad happening to them, if they did otherwise. But what defines Nonviolence? Nonviolence is not solely restricted to acts of violence with weapons. It is, according to the Almighty God, (Devum, Jehovah, Yahweh) even bad thoughts of hate, anger, revenge that are included in this. It is words of malice, jealousy, and envy that are also included in this. God does not operate on fear. Fear drives someone, in a forceful way, not by the use of freewill to make a willing choice to do what is right. The force that is driven by fear is that of Evil…that which Satan and his demons thrive on. Divinity wants true believers in its Divine Laws of Love, not those that only live it out of situations that are convenient. God has promised those that make the choice to follow the ways to His Eternal Kingdom, which are those that seek to live in accordance to the ways of the Divine Laws of Love (ways of Nonviolence, Unconditional Love, and Mercy), will be protected from eternal damnation. He will protect them from His Wrath to those who try to cheat, deceive, and hurt those that have made the choice to follow the ways to His Eternal Kingdom. 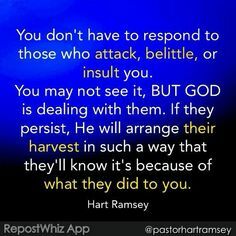 In Isaiah 54:17 it states, “no weapon forged against you will prevail, and you will refute every tongue that accuses you. This is the heritage of the servants of the LORD, and this is their vindication from me,” declares the LORD.” God gives all power to those that have willingly taken on to follow the right in this world, at all costs. Those that decided that finding their way back to Him…will have His Protection. This is a choice. And the reward for making this choice everyday is eventually a life of Eternity, a peace of mind, and His Supernatural Protection. He always remembers those that faithfully seek with each day that He gives them to live…which is another chance for them to seek and find His Divine Laws of Love, to live out. God’s punishment does not happen while we live on this earth. Remember His Ways do not conform to the world’s ways, but are beyond them….His Punishment comes after we breathe our last breath on this earth. God will evaluate what choice we made with each day He gave us to live on this earth…and to what extent we went to uphold ways of Nonviolence, Unconditional Love, and Mercy. The force driven to do what is right is done by choice, out of the Love for the Supreme Being…the Almighty God (Devum, Jehovah, Yahweh). It is out of the true belief in the truth of the ways to the Eternal Kingdom. It is a soul anchored in unconditional love, and a way of life lived by such a soul that not only benefits themselves, but for the general good of others. It does not know any other way to live…but to live with a conscience that is clear to stand before the purity of the Almighty God. Divinity does not profess conditional love, but love that is unconditional. Divinity give us the CHOICE, therefore His Punishment only comes after our last breath on this earth. Divinity operates doing what is right at all costs, and as Jesus Christ demonstrated on the Cross in Calvary….to practice the Divine Laws of Love to the point of death to the earthly body. So KARMA vs. GOD’S PUNISHMENT…..you decide. I would rather invest my soul in a choice driven out of Unconditional Love. At least I know I have an Example to follow…and know that I have made the lives of others around me better for follow the Divine Laws of Unconditional Love. I have seen God’s Power in His Protection over me and those that I love so dearly. This is my testimony. God’s Servants may look like they have nothing in the worldly sense…but God’s has guaranteed them in their dreams, that they will have everything in the Eternal Kingdom, in His Presence. Evil will only follow ways of revenge, envy, jealousy, anger, and pride. While God’s ways and vengeance for His Children is permanent, evil’s ways are temporary. This entry was posted in Karma Series and tagged Armor of God, Battling Evil, compassion, Devum, discernment, Divine Unconditional Love, enduring trials, Evil, Faith, Fight over souls (good vs. evil), God's Love, God's Wrath, Jehovah, Jesus and His Crucifixion, Jesus Christ, Jesus' Unconditional Love, Listen for God's Call, Path to Truth, Persecution, Refiner's Fire, Satan's deception, SELF LOVE vs. SELFLESS LOVE, Self Refinement, Spiritual Battles, Steadfast Faith, Trials and Tribulations, Yahweh, Yeshu, Yeshu Christu, Yeshuay on November 28, 2015 by foodforthespiritualsoul.